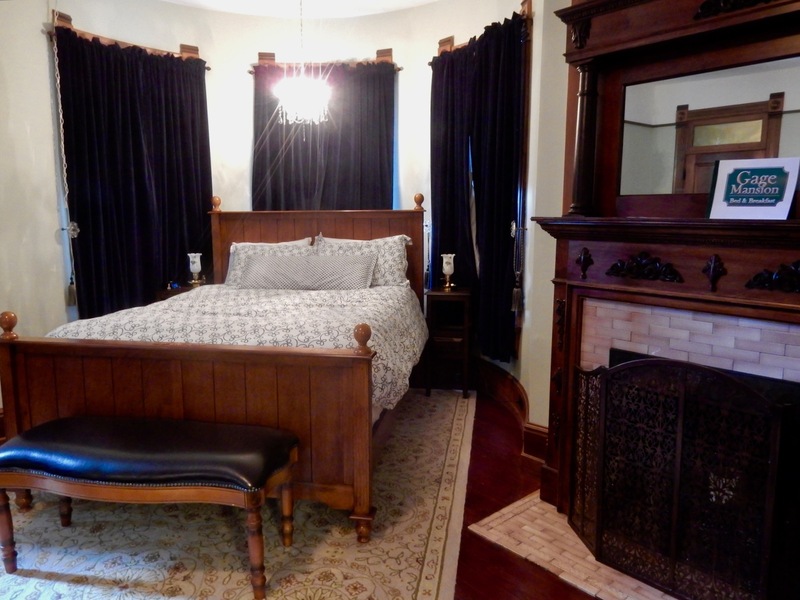 If you want to stay in Victorian-age grandeur, without the clutter and frou-frou that are hallmarks of the era, choose the Gage Mansion Bed & Breakfast, a beautifully restored brick and multi-colored trimmed Queen Ann Victorian right in downtown Huntingdon PA. Built by Colonel George Gage, inventor and railroad man who was hired in the mid-1800’s to oversee the Huntingdon and Bread Top Short Line, as the railroad succeeded, so did the house; expanding in stages with ever-growing panache. 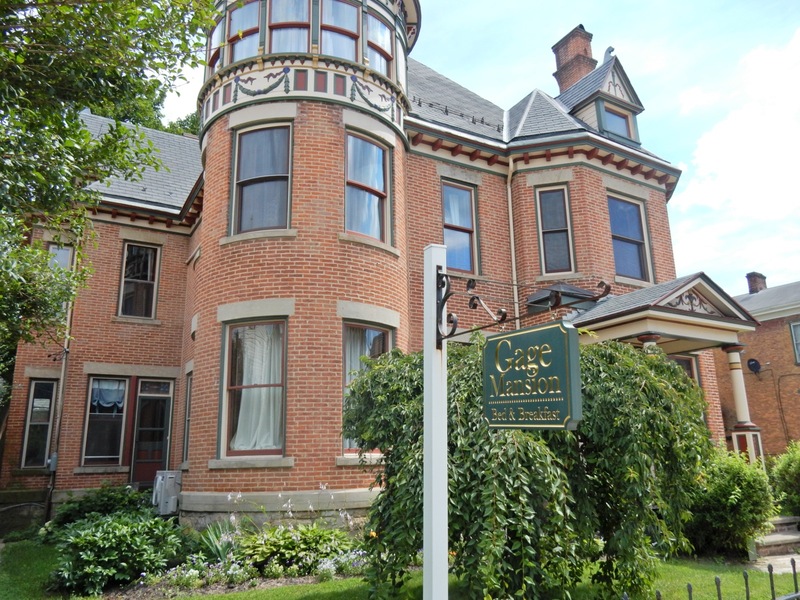 Purchased a couple of years ago by candle moguls, Angie and John Thompson, Gage Mansion has been lovingly restored as a luxury B&B. 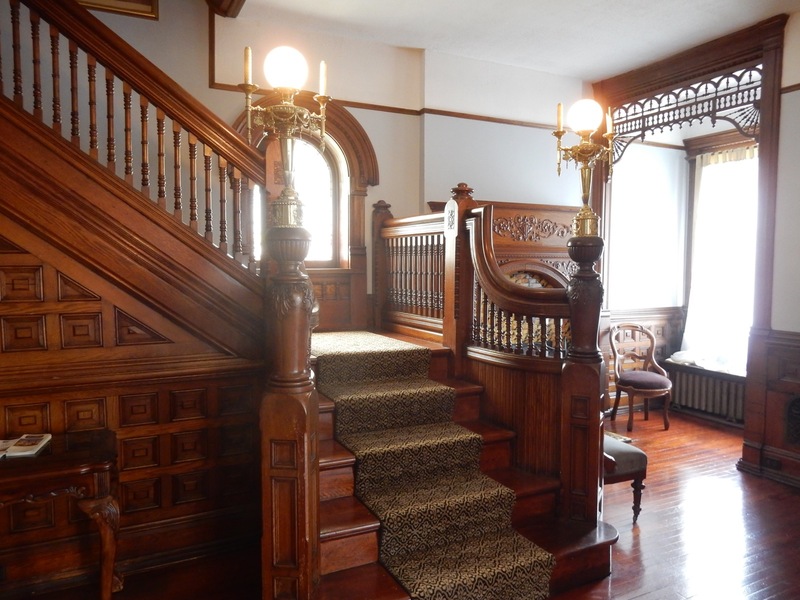 Parking is in the back, right behind the Thompson Candle Factory Store, which is in the Gage Mansion B&B’s backyard. Park, and if the store is open, walk though for a wonderfully scented few minutes. The interior of the mansion is magnificent. 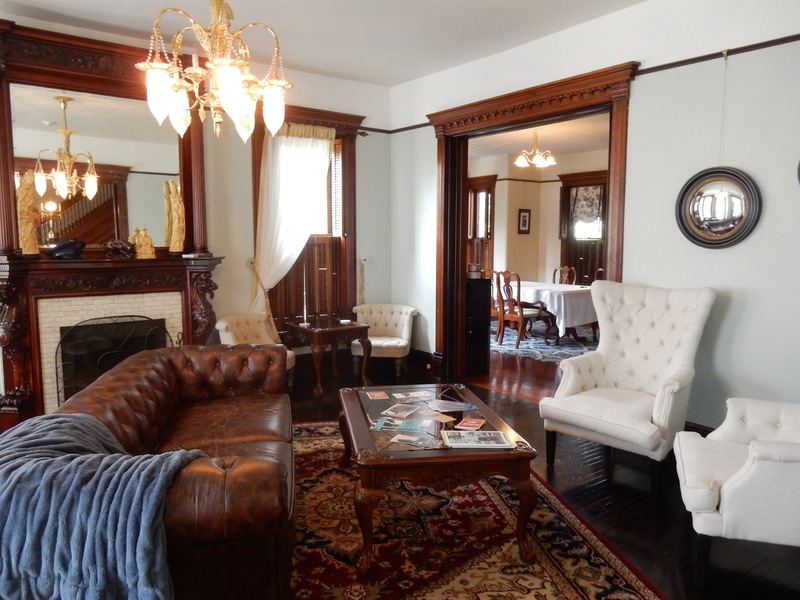 Full of grey-grained white Carrera marble, stained glass by Ann Dorris Chisholm, striking wood details, Italian Delft Tiled fireplaces, ornate lamps – all original to the home – and high ceilings throughout, Gage Mansion is a marvel of Victorian finery mixed with contemporary features. Each of the 7 rooms and suites are individually decorated, with paneled wood walls and carved beds, flat screen TV’s, and brand new contemporary bedding. Some rooms feature small crystal chandeliers. 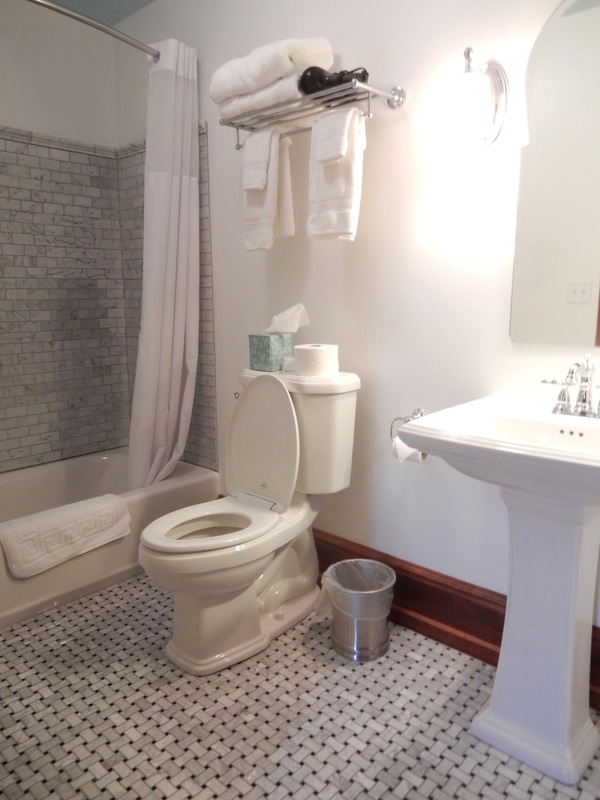 Bathrooms are small but newly renovated, with glistening tiles and pedestal sinks. Thanks to Angie’s laying hens, the hot gourmet breakfast (complementary with the room) includes one of the freshest egg dishes you’ll ever eat. 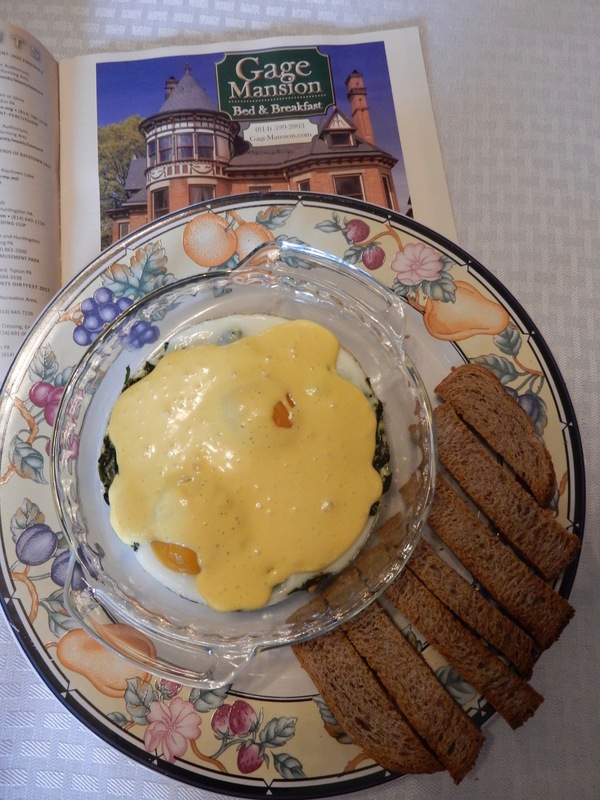 The meal begins with fresh fruit and most likely will be something along the lines of Eggs Hollandaise over wilted greens and garlic from the local Farmer’s Market. Mouthwatering. Rooms from $129-$209 (top floor “Billiard Suite,” sleeps 4, $300) per night includes hot gourmet breakfast, parking, wi-fi.